Founders of the Hipopotam Studio (Hippopotamus Studio). A married couple and a duo of graphic artists. 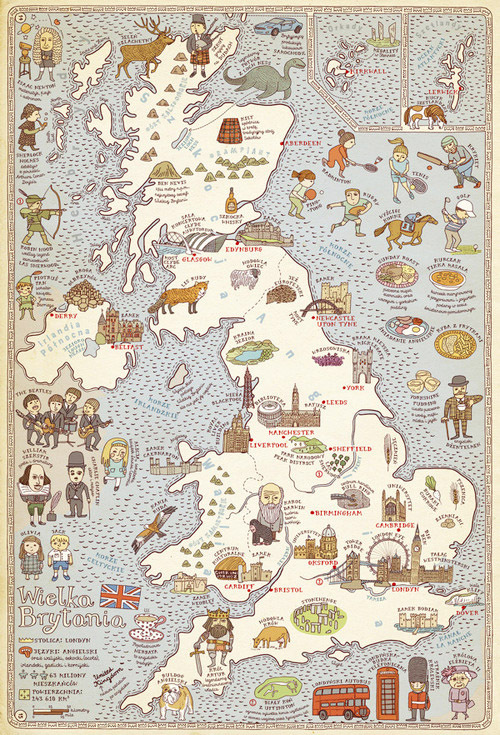 Authors of internationally recognized children’s books. Creators of fonts, applications and websites. Graduates of the Faculty of Graphic Arts of the Warsaw Academy of Fine Arts. Founders of the Hipopotam Studio (Hippopotamus Studio). Authors of internationally recognized children’s books. Creators of fonts, applications and websites. The Mizielińskis have their own characteristic style: colourful, intentionally naïve, childish drawings that show tens of figures and objects engaged in various narrations. As the artists put it, they create things they would want to use themselves. They use hundreds of colours, when they need a font they simply design it themselves, when they want to play a game they invent it. Their products can interest anyone, they make both youngsters and grownups happy. The creations by Hipopotam Studio are fascinating, developmental and they make people smile. Together with the publishing house Dwie Siostry they created the book D. O. M. E. K. (H.O.U.S.E. ), which shows children various houses by known architects. The book was declared Book of the Year 2008 of the Polish Section of IBBY and was later published in English, German, French, Italian, Spanish, Russian and in many other languages including Arabic and Chinese. The Mizielińskis were also responsible for the graphic design of other books from the S.E.R.I.A.(S.E.R.I.E.S.) series. The duo worked on D.E.S.I.G.N. which featured texts by Ewa Solarz (2010), and S.Z.T.U.K.A.(A.R.T.) by Sebastian Cichocki. These projects brought the Mizielińskis great popularity. The two artists were both born in 1982 and they obtained their diplomas in 2007 from the Book Design Workshop of professor Maciej Buszewicz and Grażka Lange. As juniors in college they founded the design studio Hipopotam Studio of which they’re still artistic directors. The duo collaborates with such publishing houses as Znak, Dwie Siostry and 40 000 Malarzy. They create book covers and graphic designs for books, they also prepare their own publications. As they say, they don’t really know how to make books for children, they actually design these publications as they would for themselves. This however is a very good method as their works are gaining popularity worldwide. In 2011 they put out the book Miasteczko Mamoko (Welcome to Mamoko), which includes only illustrations. These drawings help those who look at them (not only children) exercise their sense of observation. The book had 2 sequels entitled Dawno temu w Mamoko – jesteśmy w średniowieczu (Mamoko in the Time of Dragons) and Mamoko 3000 (The World of Mamoko in the Year 3000) which was set in the future. 2011 also saw the creation of Co z Ciebie wyrośnie? (What Will Become of You ? ), which was prepared for the publishing house Dwie Siostry. This book is a glossary of the strangest professions in the world. Later also Tu jesteśmy. Kosmiczne wyprawy, wizje i eksperymenty (Here We Are, Space Travels, Visions and Experiments) and Mapy (Maps) were issued. 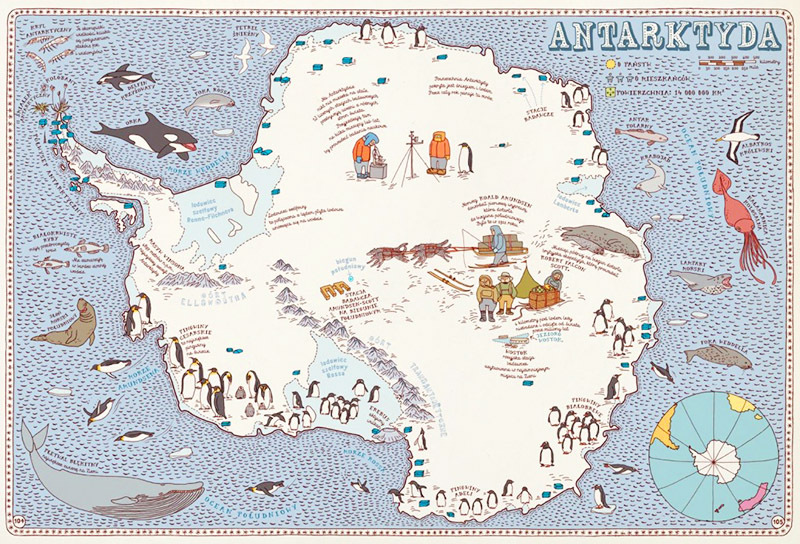 The latter is a large-format publication containing 51 huge maps that show 42 countries from six continents. Other authorial ideas are being prepared. Miasteczko Mamoko and Mapy published in English and will be put on the Big Picture Press list, which features high quality illustrated books. This list is meant to include books that are surprising, intelligent, beautifully illustrated and understandable regardless of age. The Mizielińskis are also authors of websites, for instance Bubole or Co z Ciebie wyrośnie? (What Will Become of You? ), where children can amongst others look for lost things in a closet, guide ships safely to the shore using the light of a lighthouse or receive sound signals from outer space. The duo also prepared something for older internet users – the site Pica Pic is a portal, which offers digitalized versions of traditional, non-digital games from the times of communist Poland. This portal is as of now Hipopotam Studio’s biggest success. The creators admit that they looked within themselves in order to find this idea. I didn’t expect such a success. I had these games in my childhood and I bought some of them again. I wanted to have a place, to which I could send a link, so that I could show what I have in my collection. I tried to retain the analogue character of these games, therefore when you click on something in the digital version you have the same noise as in the original version. People play these games 24/7 (Anna Czajkowska, Hipopotam w Berlinie, Futu Paper 2013, no. 6, p. 34-37). Being a graphic artist is cool because you can do so many things. When I passed the entry exams for college I thought I’ll end up doing workshop graphics. Later we found our way to Buszewicz’s and Grażka Lange’s workshop and we decided to create books. As junior students we founded Hipopotam studio and back then we thought that we will make designs on commission, we didn’t have any specific vision. (…) What happened with our fonts was very similar – we wanted to translate our books into foreign languages so we had to have international versions of the fonts, that we designed for the polish versions (Anna Czajkowska, Hipopotam w Berlinie, “Futu Paper” 2013, no. 6, s. 34-37). The Mizielińskis have many talents, they care for detail and quality of finish. They’re constantly evolving and working on new projects. They’re proud professionals that have found their own niche. 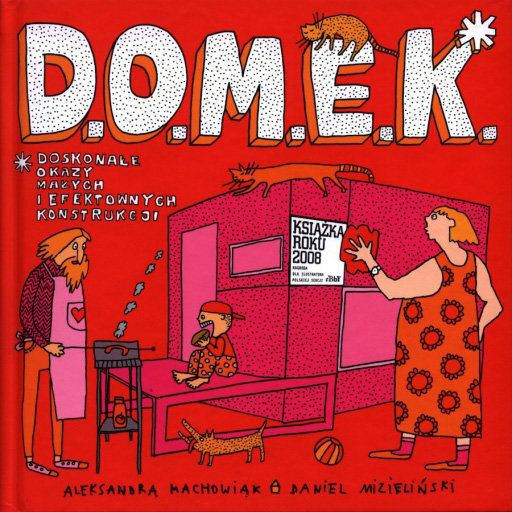 2009 – main award in the graphic art category for D. O. M. E. K. at the Book of the Year 2008 competition organized by the Polish Section of IBBY. 2009 – main award in the Books for Children aged from 5 to 12 category for D. O. M. E. K. at the 7th edition of the Child-Friendly World competition organized by the Children’s Rights Protection Committee. 2010 – Distinction in the in the category Books for Youths and Children for Miasteczko Mamoko at the PTWK Most Beautiful Books of the Year 2009 competition. 2010 - D. O. M. E. K. put on the international Honoray List of IBBY 2010. 2010 – D. O. M. E. K. put on the Interrnationale Jugendbibliothek’s White Raven 2010 list. 2010 – Golden medal at European Design 2010 for the design of the website Bubole. 2011 – Bologna Ragazzi Award 2010 for the book Co z Ciebie wyrośnie?. 2013 – The distinctions Prix Sorcières 2013 and Andersen 2013 for the book Mapy.